Discover the delights of Istanbul on this 4-day tour. 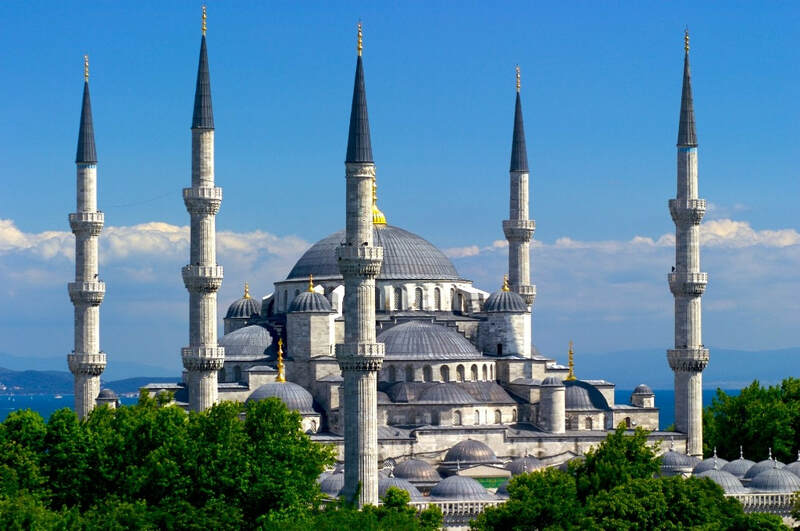 Admire the Blue Mosque’s towering minarets, visit the 6th-century Hagia Sophia and Explore the Topkapi Palace, widely considered the jewel in the crown of the Ottoman Empire. Also Wander through the Grand Bazaar, where shoppers and traders hustle for bargains the way they have since the 14th century. Our Basic tours are specially designed for Rotarians who have limited time to attend the Rotary Convention, but who want to explore at least one other place while they are traveling to the convention. We have chosen Istanbul because it is an unusual destination, with one foot in the East and the other in the West. 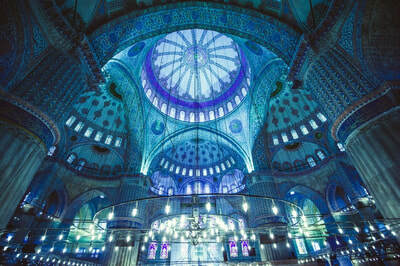 Istanbul is the perfect city destination with its captivating blend of sights, sounds and colours. 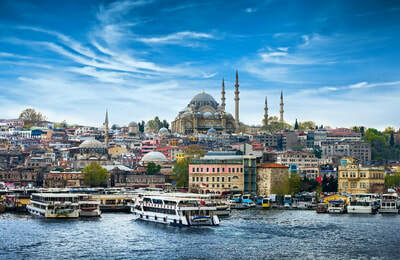 Tue., May 28 - Arrive in Istanbul: Hotel Marmara Pera accommodations include daily breakfasts. Welcome dinner included this evening. 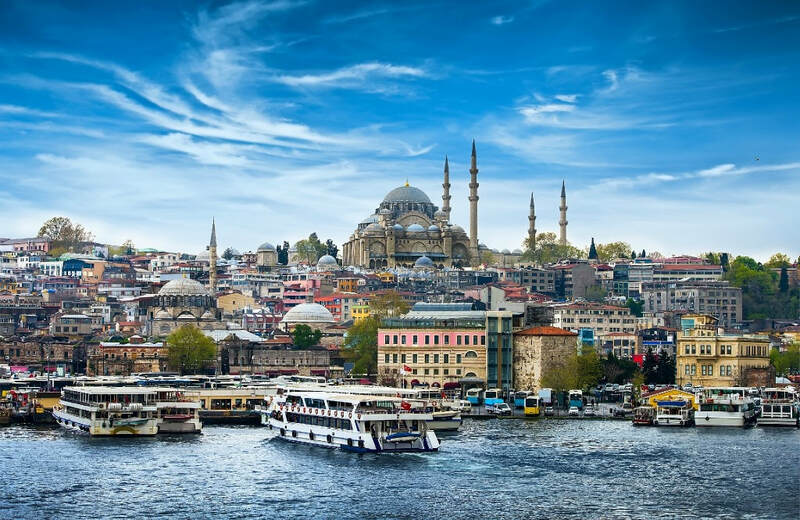 Thu., May 30 - Istanbul: This morning begins with a brief visit to the 17th century Spice Bazaar one of Istanbul’s most colorful and bustling attractions. Next, take an cruise along the Bosphorus, the majestic strait that runs through Istanbul, linking Europe and Asia. Enjoy lunch at a local restaurant as a tour service before we visit to the Grand Bazaar. The commercial heart of the old city and its 4,000 shops are full of treasures – including carpets and kilims, silks, jewelry, ceramics, icons, and leather goods. Evening Free for personal enjoyment. Fri., May 31 - Istanbul: This morning we visit the Topkapı Palace, which, from the 15th - 19th century, was the principle residence of the Ottoman Sultans. See the fabulous Imperial Treasury, the Baghdad Kiosk and the Imperial Armory, displaying centuries of Ottoman weaponry. But perhaps the loveliest features of Topkapı Palace are its courtyards with their ancient trees. 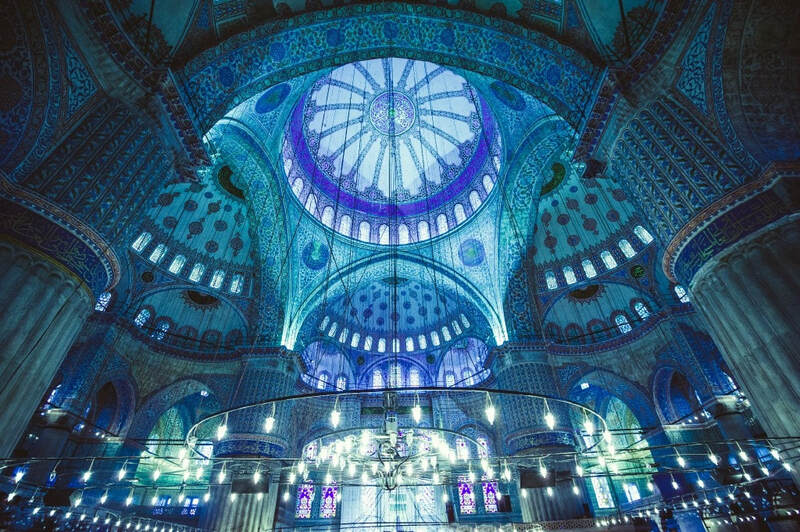 The Suleymaniye Mosque dates from the 16th century heyday of the Ottoman Empire, and was designed by the greatest architect of the day and originator of the Classical Ottoman style of architecture. The remainder of the day is free to explore on your own. Dinner is included as a tour service. Sat., Jun 1 - Istanbul /Hamburg: Fly from Istanbul to Hamburg. Sun., - Wed., Jun 02-05 - Hamburg: Attend the Rotary International Convention. No Howard Tours’ events or services are scheduled in deference to the Rotary Convention activities. Thu., June 06- Hamburg/Depart for home.